When I was growing up I imagined my life having a set of key events that would change it. As a young girl it involved meeting Prince Harry and falling madly in love with him and living happily ever after in the Disney castle. As I grew up my dreams involved moving into my own house, finding the perfect career and then meeting Prince Harry and living happily ever after in the Disney castle.
.@shanedurrant from @desmondandtutus doing the motherflipping german modern. Never would I have imagined that a little app named Instagram would be one of these key events that changed my life. I guess I could argue that I’ve always been somewhat of a creative person, perhaps it was because I’m so terrible at math I had no other option…either way I’ve always drawn to the ‘right’ side of things. Instagram however gave my creativity a purpose and I’ve been seeing the world through a beautiful square frame ever since. Instagram has not only pushed me to explore myself and my city more than I would have done before but it has connected me with the most wonderful people who I would never have met if not for the app. Photographers, lawyers, accountants, designers, chefs, entrepreneurs, bus drivers, CEOs and dog walkers; these are only some of the types of people I’ve met since I started using the app. So, for the month of July I’ve dedicated my blog to Instagram and the South Africans who are not quite Prince Harry but continue to inspire me on a daily basis. 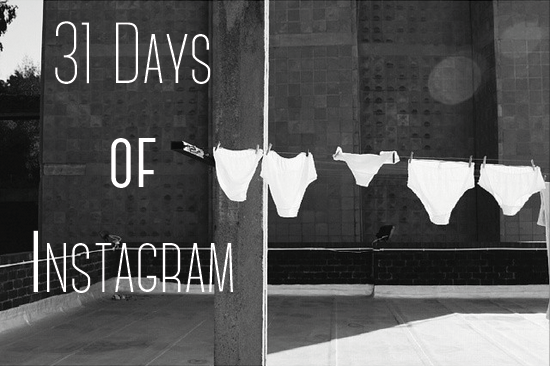 Each day for 31 days, I will be featuring one of my favourite South African Instagrammers and their photos. I hope you will enjoy their work as much as I do. I'm taking my tree down today. Check out @graziasa Christmas issue if you want to see more fun holiday crafts. Bye bye Christmas! Dougie doug from @desmondandtutus making nice music.